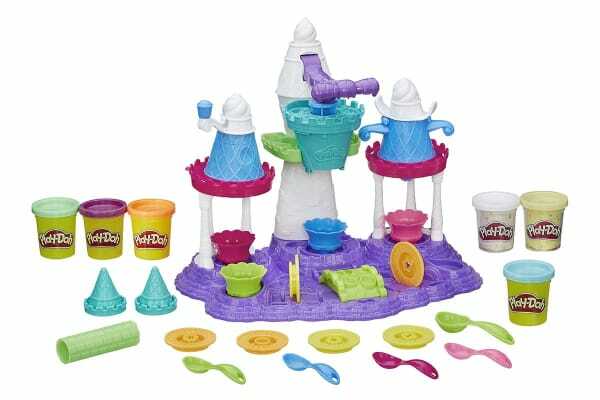 Take a magical trip to the Play-Doh Ice Cream Castle! It’s a colorfully creative kingdom where kids can go to make their wackiest ice cream dreams come true. The whimsical towers of frosty fun create colorful Play-Doh soft-serve treats in unique ways. With the 6 ice cream discs, kids can choose different shapes to press out their swirly Play-Doh ice cream. Confetti compound filled with specs of colorful confetti for even more creative fun! Just pop one into the center tower to switch up the fun! The Play-Doh soft-serve machine also features an easy-press handle for littler hands. 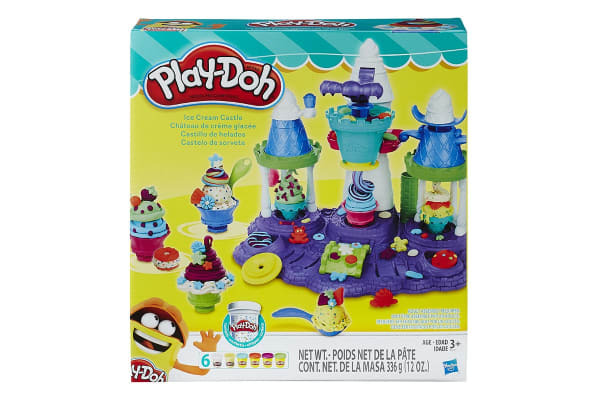 When the dishes are filled to the brim with swirly Play-Doh treats, move over to the topping stations to cover them in wacky whipped cream and crazy sprinkles.